VeggieDag Thursday: super food; super beer; Super Bowl. Denver Broncos' quarterback Peyton Manning was jonesing to “get a Bud Light in [his] mouth,” after his victory in the AFC championship game. We can forgive him his poor beer trespass but relate to his sentiment. Americans drank 50 million cases of beer during the 2008 Super Bowl. That's the equivalent of 1.2 billion 12-ounce bottles (or cans). The actual total volume was even greater than that, because the Neilsen Company reported only on beer purchased at stores, not ordered at bars and restaurants (or the stadium!). Here's what Americans ate during the 2013 Super Bowl(compiled by The Street). Thanksgiving is the only U.S. holiday on which Americans eat more. Here are are a few recipes for non-carnivore snacks to nibble on during Sunday's game. Green bean and dill pickle spread. Lithuanian fried garlicky rye bread strips. Dish made of beer, Worcestershire sauce, and Cheddar cheese. Panino di Pizza with roasted cauliflower and romesco. Video from Joe Yonan, Food Editor of Washington Post: here. Sorry, Texas. Lots of beans! Happy eating; happy drinking. And, no matter who wins the game —the Seattle Seahawks or the Denver Broncos— here's hoping for a good Super Bowl XLVIII. VeggieDag Thursday: Hello, again (and Quick Links for January 2014). When asked if I'm a 'vegetarian' or 'vegan,' I don't reply with an answer sure to be laden with labels and agendas. So, I'll say: "No, but I don't eat animals." It's never meat, fish, fowl, or eggs for me, but it's always vegetables, legumes, grains, nuts, and fruits, and, occasionally, artisinal cheeses, although no other dairy. Re-introducing VeggieDag Thursday for 2014, this is an occasional Thursday post, at which I write 'meatless' on matters of an animal-free diet and issues of the ecology. I might even inveigle beer (or wine or spirits) into the posts. Beer is, after all, in most cases, a fine vegetarian foodstuff. It's liquid bread, made from barley malt, hops (an herb), yeast, and water. I call this column VeggieDag Thursday in solidarity with the city of Ghent, in Belgium, which first declared a weekly, city-wide "VeggieDag Donderdag" on Thursday, 14 May 2009. More: here. Industrial agriculture could be hitting fundamental limits in its capacity to produce sufficient crops to feed an expanding global population according to new research by scientists at the University of Nebraska-Lincoln. Via The Guardian. Researchers at U.S. Department of Energy's Pacific Northwest National Laboratory have discovered a way to turn a small mixture of algae and water into a kind of crude oil in less than an hour, with net-positive energy gain, and potentially cost-competitively. Via Smithsonian Magazine. 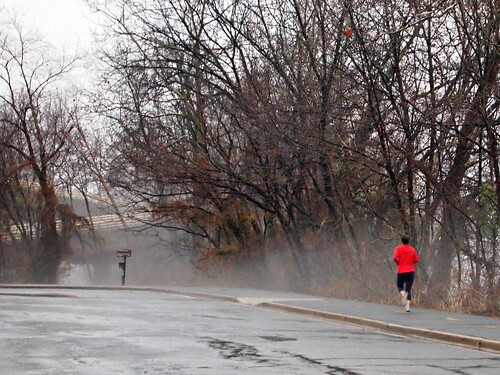 The Daily Beast examines top 10 diets of 2013. Finds them all "useless." "Ingesting a warm chocolate-chip cookie offered the eaters a brief respite from their quotidian woe." A history of the chocolate=chip cookie. Via New Yorker. FDA launching pilot testing program for raw-milk cheese. Via Gourmet Retailer. Cheesemonger at Arlington, Virginia, wine shop Arrowine wins title of title of America’s Best Cheesemonger at U.S. Cheesemonger Invitational. Via Cheese & Champagne. Domino's Pizza retailer offering a vegan pizza .... but only in Israel. Via NPR. Players on the championship NBA team, the Miami Heat, visit the White House and promote eating well. Host Michelle Obama dunks (sort of)! "Now, bring us some figgy pudding!" Vegan recipe for what's basically bread pudding. Via The Smart Kitchen. "Easy vegan croissants." Via Vegan Dad. "How to make the perfect polenta." Via The Guardian. Roasted chestnut and porcini soup. Via Burp.Cook.Eat. Vegan Hoppin' John. Via Whole Foods Market. Black-eyed pea coconut curry, with collards, potatoes, & avocado/mango chutney. Via Whole Foods Market. The trouble with thin sauces when veganizing meat recipes. Seitan Bourguignon, via The Picky Vegan. The chemistry of cast-iron pan seasoning. A how-to, via Sheryl Canter. Charlie Papazian celebrates his 65th birthday today. It's a milestone for Mr. Papazian, and, by extension, for the entire modern 'good beer' revival movement in the United States —homebrewing and 'craft' brewing alike. Educated as a nuclear engineer, Mr. Papazian, a homebrewer by hobby, founded the American Homebrewers Association in 1978, when homebrewing in the U.S. was technically illegal. Today, the hobby is legal in all 50 states. Papazian's efforts were a crucial part of that evolution. In 1979, Mr. Papazian founded the Association of Brewers, now the Brewers Association (of which he is president) —the primary advocacy group for small and independent breweries in the U.S. In 1982, he organized the first ever Great American Beer Festival —since held annually, and considered the premier annual national competition for American breweries. 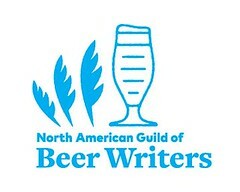 In 1996, he organized the bi-annual World Beer Cup. In 1984, Mr. Papazian published his seminal how-to, The Complete Joy of Home Brewing. 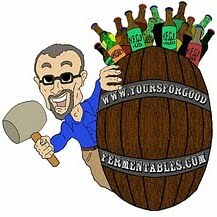 This book would inspire and educate successive generations of homebrewers, some of whom would later convert their avocations into professions (including the author of this blog). The book is still in print, now on its 3rd edition. Mr. Papazian's iconic admonition has long been: "Relax; don't worry; have a homebrew." Inscribed with that, here's my dog-eared ('photo-shopped') 1991 autographed edition of his book. Wherever my travels take me in the United States, and whichever commercial beers I am asked to taste, whether by a magazine, a scientific institute, or a brewer, I always seem to finish up in someone's garden at the weekend, enjoying their own home-produced vintage. My hosts almost always turn out to be members of the American Homebrewers' Association. It happened again the other day, in Washington, D.C. My hosts were a physicist and his schoolteacher wife. They had friends present, an executive in a government agency and a couple of journalists from a famous newspaper. We enjoyed that same pleasure usually experienced in cooking together, except that we were brewing. While we went about it, we sampled the recently matured product of their last brew. "Let's drink a toast," suggested our hosts. "Lets drink to Charlie Papazian." We did, and so will you. Have a happy birthday, today, Charlie! Pic(k) of the Week: Fermenting, things go better with Coke. Resourceful re-purposing, as seen in the small fermentation room at BadWolf Brewing, the first-ever 'craft' brewery in Manassas, Virginia. As beer ferments in these sealed 55-gallon plastic drums, carbon dioxide, produced by the yeast, must be allowed to escape, so that the drum won't rupture. 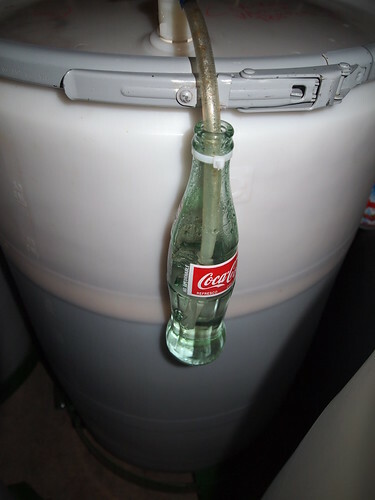 The stream of CO2 runs, via a tube, into a Coca-Cola bottle, filled with a solution of sanitizer, that precludes airborne microbes from travelling back into the beer, mucking up the fermentation. The brewery opened to the public in late June 2013. This photo was taken during a visit on 12 January 2014. After which one might have said: "Things go better with ... beer." 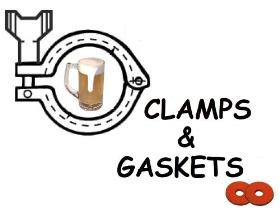 Clamps & Gaskets: News Roundup for Week 52, 2013 & Week 1, 2014. The three-thousand year old tomb of the head of beer production for Pharaoh Amenhotep III is unearthed in Luxor, Egypt. Via BBC. The future of American wine: "Wine of place, proud of where it comes from, proud of its diversity." Via Dave McIntyre (of the Washington Post). British microbrew pioneer Peter Austin has died at 92. Important influence on early U.S. 'craft' breweries. Via Boak & Bailey's Beer Blog. British beer historian Ron Pattinson authors book on re-creating beers originally brewed during the years 1800 to 1965. Ingredients, brewing techniques, and descriptions of the history and development of each style. Via Shut Up About Barclay Perkins (Pattinson's blog). The 2013 winners of the annual Yuletide Beer Photo Contest announced. Via Alan McLeod (A Good Beer Blog). The current science on why excessive alcohol consumption causes veisalgia —i.e., hangover— and suggested palliatives. Via Smithsonian Magazine. British ex-pat, Nick Funnell —the longest-tenured brewer in the Washington D.C. area— hangs up his boots. Via YFGF. Sierra Nevada Brewing releases the first beer to be brewed at both its Chico, California, location, and at its new second location, in Mills River, North Carolina: Nooner 'Session IPA'. Via My Beer Buzz. Julia Herz —Craft Beer Program Director for the Brewers Association— assesses 'craft' beer's development in 2013. "Craft beer is finally and fully being recognized in every subset of the beverage and culinary worlds." Richmond, Virginia-area had a big year for new 'craft' beer in 2013. Via Richmond.com. Reports of the demise of Belgium's Orval Trappist Brewery were greatly exaggerated. 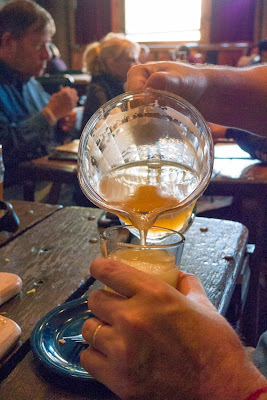 "Fermentation continues in tranquility and peace" at Trappist Orval. Via Belgian Beer Specialist. Why it's okay to indulge in some alcoholic excess over the Christmas holidays. 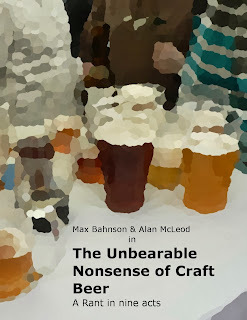 An essay by British beer author Pete Brown. EU brewers claim trade discrimination. Demand same excise tax breaks as small U.S. breweries. Via EurActiv. Yusef Lateef has died, age 93. Multi-instrumentalist, world musician, jazz master. Via Washington Post. "Ancient man developed agriculture to brew alcohol [i.e., beer], NOT to bake bread." Via Daily Mail. 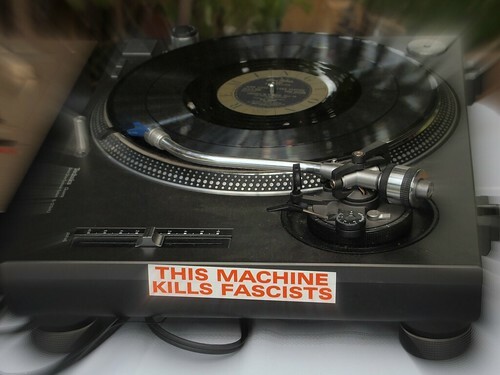 Music with a message: a wedding DJ's turntable. This just in! Now, you can have your grilled cheese and your pint of beer ... and take 'em both home. Pubs and restaurants in Virginia have been allowed, for a few years now, to sell draft beer-to-go in 'growlers,' one or two-quart re-sealable glass containers. Just recently, the Virginia Department of Alcoholic Beverage Control (VABC) stated that these establishments could also sell draft beer-to-go in 16-ounce vessels, which are commonly known as ... pints! The first pub to take advantage of this interpretation was Falls Church, Virginia's Spacebar, which began filling mason jars with pints of draft beer-to-go, yesterday evening (7 January 2014). As is the case in such matters, the lack of a prohibition does not, ipso facto, imply permission. So, under an abundance of caution, Spacebar's owners, Lary and Erica Hoffman, had first asked VABC officials if a close-able one-pinter could be specifically considered an acceptable "alternate" vessel, under the agency's definition of "growler." The answer came back, they're "not prohibited." AS in: yes! Spacebar offers 24 different draft beers and just about the same number of grilled-cheese sandwiches. The pub opens at 5 pm. Early in the evening, many neighborhood folk, returning home from work, purchase these cheese sammies as take-out. The traditional two-quart sized growler might be too much libation for the nosh; but a pint, just right. After 17 1/2 years as executive brewer for the three Sweetwater Tavern brewpubs in northern Virginia, British-trained Nick Funnell (pronounced fun NELL) has hung up his boots. Funnell's final day on the job will be 31 December 2013. 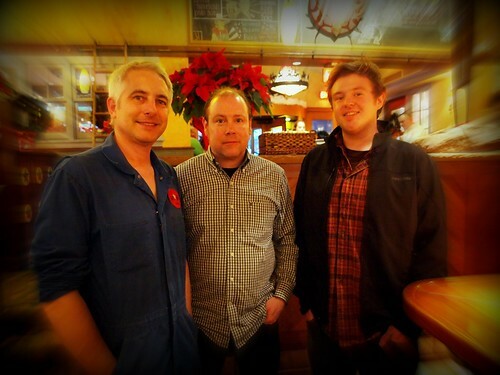 Here he is (on the left), with fellow brewers Joe Schineller (c) and Jake Sullivan (r), at the Sweetwater Tavern, in Centreville, Virginia. "I'm too old for this," he half-joked. That's hard to imagine for this brewer, a respected doyen among Washington-D.C.-area brewers (in fact the region's longest tenured brewer) and an educator of good brewers nationwide, as an instructor at the American Brewers Guild. Born in Yorkshire, U.K., Funnell worked for several breweries in Great Britain, including Ushers, a now-closed brewery, near the Dorset area. He moved to the U.S. in the mid 1990s, hired to open a Washington, D.C., brewpub for Philadelphia, Pennsylvania-based Dock Street Brewing. When that venture failed (through no fault of his! ), he was hired to open and run brewing operations at Sweetwater Tavern, in Merrifield, Virginia. Part of the Great American Restaurants chain of restaurants in northern Virginia, Sweetwater Tavern now has three locations, all of which Funnell oversees as brewmaster. The afternoon I stopped by to say goodbye, Funnell didn't have much time to chat. His car was due at the auto-shop, where it was to be prepped for an upcoming twenty-four hundred mile trip to Portland, Oregon. Funnell has accepted a position there with Brewers Supply Group, otherwise known as BSG Craftbrewing. In that city, a hotbed of U.S. 'craft' beer, he'll be using his expertise to assist brewers to find equipment, materials, ingredients, services, and supplies. "I would have liked more," Funnell chuckled. "But I'm happy with what I've done." I sipped on his malt-forward yet dry-finishing Sidewinder Holiday Bock. "It's 8.2% alcohol," he warned me. Suddenly, I felt wistful. Maybe it was the alcohol. Or maybe it was because I realized that this was the last Funnell-brewed beer I might ever drink. But, then, I reflected on how fortunate all of us in northern Virginia have been to have had such good beers for nearly two decades. So long, Nick. Good luck, and thanks for all the beer! Washington D.C.-area brewers, industry professionals, and good-beer fans gathered at Mad Fox Brewing, in Falls Church, Virginia, to 'roast' Funnell, on 30 January. The event was emceed by long-time DC beer personality Bob Tupper. Photos from the evening's festivities: here.